This entry was posted on January 18, 2017 by Tinteán Editorial Team/EMcK, in Arlene Foster, NI 1st Minister, Martin McGuiness, News, NI Politics, Northern Ireland, Sinn Fein and tagged Martin McGuinness, NI, Politics, Sinn Fein. Bookmark the permalink. The government of Northern Ireland was catapulted into disarray on Monday with the resignation of Deputy First Minister Martin McGuinness, who has been in office for 10 years. Here are the seven fast facts it’s crucial to know. What the roles of First Minister and Deputy First Minister mean. Following the Peace Process, Northern Ireland entered into a power-sharing agreement so that both sides of the conflict, unionist and nationalist, would be represented in government. Since then, two leaders have been voted into office – a First Minister and a Deputy First Minister. Despite – they hold equal power, and one cannot hold office without the other. McGuinness, of the (nationalist) Sinn Féin party, has been Deputy First Minister for a decade, working painstakingly with Foster’s predecessor Peter Robinson and famously well with Robinson’s predecessor Ian Paisley. 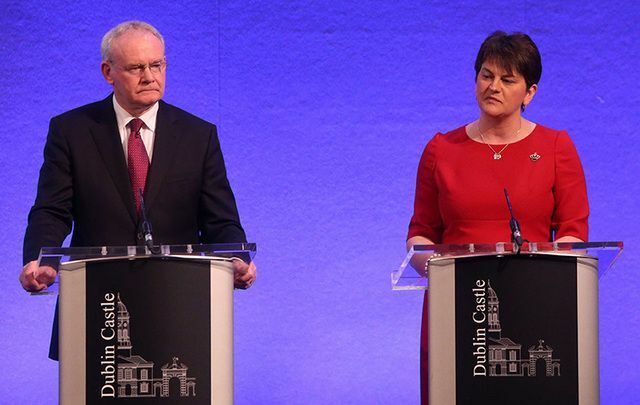 Foster, of the Democratic Unionist Party (DUP), has been First Minister since December 2015; she and McGuinness do not have a track record of working well together in that time. Martin McGuinness speaking outside the Dail in Dublin. Martin McGuinness also had enough of DUP arrogance and failure to live up to promises. It had become clear McGuinness has had enough in recent weeks. He had tried everything to keep the power-sharing government together. He especially went way out on a wing meeting Queen Elizabeth in 2012 which incensed many hardliners in his own party. He painstakingly negotiated the creation of a peace center at the old Maze prison, designed by Daniel Libeskind, only for Peter Robinson to shoot the entire plan down via an email from Florida where he was vacationing. Relations with Foster were immediately fraught as she adopted a Maggie Thatcher, macho approach which included ending funds for an Irish language bursary scheme while increasing funds for Orange marching bands. When the Renewable Heat Incentive scandal hit, it proved the last straw. How a scandal concerning First Minister Arlene Foster led to Deputy First Minister McGuinness’ resignation. The dispute goes back to when Foster was Minister for Enterprise in the North and created a Renewable Heat Incentive (RHI) scheme to discontinue the use of fossil fuels, replacing them with wood burning fuels and offering cash incentives for businesses that made the switch. However, due to a lack of limits on the incentives, the program, now dubbed Cash for Ash turned into a fiasco and may end up costing the Northern Ireland taxpayers $450 million. McGuinness and Sinn Féin have been calling for Foster to step aside while a corruption inquiry is carried out, but Foster has refused and survived a vote of no confidence in Stormont, Northern Ireland’s governing body. McGuinness and Foster met in the early hours of Monday morning in an attempt to reach a compromise, but none was reached and McGuinness resigned in order to trigger a new election, essentially putting the matter in the hands of the electorate. What happens next for Northern Ireland. 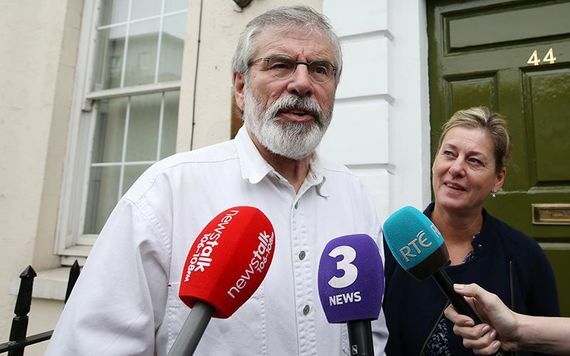 Following McGuinness’ resignation, Sinn Féin has seven days to name a successor. If they decline to do so, it forces an election to take place. The date for the election will be called by London’s Northern Ireland Secretary, James Brokenshire. In theory, McGuinness could be put forward again for election as Deputy First Minister, but this seems unlikely, especially considering the apparent health issues he has been dealing with of late. There still stands a chance that Foster could be pressured to step aside in favor of a candidate not embroiled in the RHI scandal, but the likelier chance is we will see her on the other side of the election. McGuinness is suffering from an undisclosed illness making the future even more difficult.He cancelled a trip to China seeking economics investment last month and is clearly not well. Insiders say it is a serious heart problem and it is unlikely he would run for Deputy First Minister again though he has refused to rule it out. Who could potentially replace McGuinness? McGuinness has been Deputy First Minister for a decade and, with Gerry Adams in the south, one of the well-known faces of Sinn Féin. There are no obvious successors, but possibilities include former Education Minister John O’Dowd, Conor Murphy, and Carál Ní Chuilín, former Northern Ireland Minister for Culture. How this impacts the peace process. Since the Good Friday Agreement of 1998, Northern Ireland has been governed via power-sharing. While these events do not necessarily jeopardize that structure, a number of nationalist politicians are using this, in addition to the Brexit vote, as an example of why power-sharing is a flawed system, with McGuinness himself saying there would be “no return to the status quo” after an election. At the same time, what’s notable about this conflict it that it isn’t a Catholic/Protestant dispute but a policy disagreement. An election will be held on March 2 in Northern Ireland for the Northern Ireland Assembly after Sinn Fein refused to nominate a new deputy First Minister to replace Martin McGuinness. There has also been a deep sense of anger among nationalists at the high-handed treatment by the DUP of Sinn Fein. Just before Christmas funding was pulled from an Irish language school while extra funds went to an Orange marching band. 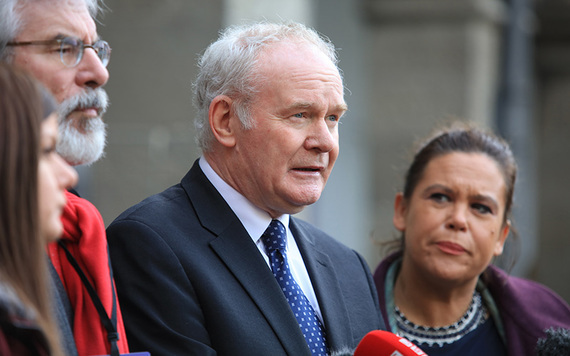 Martin McGuinness’ political future is remains uncertain as he has a rare genetic disease which is affecting his heart. However, Sinn Fein leader Gerry Adams has refused to rule out McGuinness continuing, saying it will be up to his longtime colleague to decide. Once Sinn Fein declined to nominate a deputy first minister an election was the only option. Secretary of State James Brokenshire was, at that point, legally obliged to call a snap election, and having consulted the chief electoral officer for Northern Ireland, he opted for Thursday, March 2. For more insights into this story, watch IrishCentral Facebook Live discussion.